This position is, of course, way too silly. White has managed to get rid of his two bishops, a pawn and his queen and the only thing he got was one lousy knight. Even stranger is that the bishop from f1 must have been taken there, while the black knight let itself be captured by the pawn currently on g4. If we set all that aside, for a moment, the position would still be weird. Why did the black royalty swap places? What compelled black to advance his a, b, and c pawn all one square? Why is the white king on f1? But the madness doesn’t end there. In fact, it’s only getting started. Next thing we see, there is a white bishop on d5, looming large over a completely intact but undeveloped white queen’s wing. Where did that come from? Somehow, white must have promoted to a bishop, twice in fact, putting one on c1 and one on d5, and he must have retreated a knight to b1. Then, the bishop takes a black queen on e6, while behind him the queenside looks like in the diagram again. We then see a missile strike, which is presumably meant for whoever was responsible for the continuity of this video. 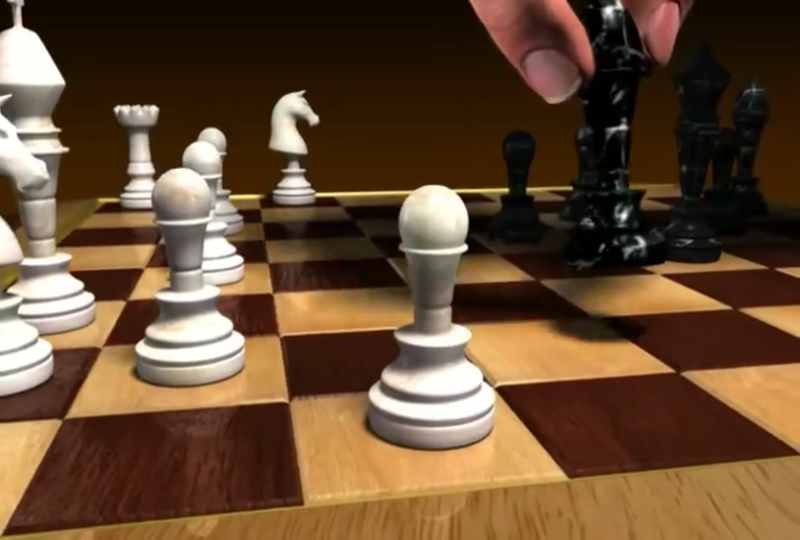 There follows the capture of a black rook by a white pawn, and then we’re back to what at first glance looks like the original position2, but isn’t quite it. A black bishop gets sacrificed on h3. 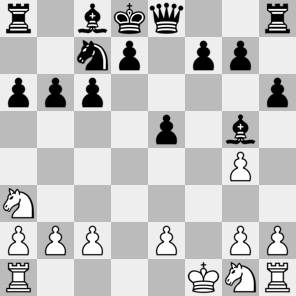 A black pawn takes a knight on d3.3 A tank gets blown up. A rook takes a bishop. A nuclear explosion. Some dictator’s statue gets toppled. The white king falls. The blog post ends. Realism: 0/5 All the positions considered singly are at least legal, but there is no way in hell that they all fit together. Probable winner: Black. A nuke usually improves your chances of victory.